The issue of renewable energies is an indisputable priority in the 21st century. We want to emphasize the studies on replacing conventional energy sources with renewable ones, that are currently developing at universities in Brazil. This is, in order for the issue to become a priority in the implementation of new projects for local development in the municipalities of the country. The use of renewable energy sources like solar, wind, ocean energy, geothermal, hydropower and biomass is one of the fundamental premises for the current economic systems. Their continued growth comes with an equally growing demand for energy, only this use is not immune to the current global environmental situation that humanity is living. In this respect, rational actions are necessary, which are lead by human behavior parameters to improve the decision-making process associated with the use of these energy sources. Brazil, with about 8.5 billion km2 (IBGE, 2012) is characterized by a high potential for the use and development of these energy sources. As pointed out by the Energy Research Company (EPE), 90% of the energy generated in Brazil in 2009 originated from renewable sources, mainly water (83.7%) biomass (5.9%) and with a small stake, wind (0.3%) (EPE 2010). On the other hand, the island of Cuba, with a land area of only 109,884.01 km2 (ONE 2012) is a case of particular attention, because of the will and the commitment of the state to spreading an energy culture that aims to achieve independent development, sustainability and environmental protection, as well as the implementation of technologies for the widespread use of renewable energy sources with progressive weight in the national energy balance. The challenge for universities is to ensure that the energy used in artificial processes is also provided entirely by solar energy in its various forms so that it continues not to affect the thermal balance of the planet. Renewable energy sources constitute the solution to the problem of climate change induced by man, since the historical origin of this change is due mainly to the use of fossil fuels, which began during the First Industrial Revolution and augmented during the Second one that was dominated by a society fundamentally based on the use of oil. Solar energy is necessary and sufficient not only for the realization of natural processes but also to energize all artificial processes created by man (transport, agriculture, industry, housing, etc.) without breaking the thermal balance of the earth. The cost of the use of renewable energy sources for artificial processes is much smaller than the so-called conventional sources, considering the indirect costs that they cause, especially those that we currently do not pay like pollution and climate change, which are destroying the environment and endanger life on the planet. The area needed to supply all the energy used by artificial processes is insignificant and does not compete with any activity essential to life and development. The dispersion of solar radiation is not an adverse factor, but on the contrary enables the production of decentralized electricity close to the place of consumption. The intermittency of solar radiation is entirely surmountable by accumulation of energy in both natural processes such as hydro, biomass and nautical-thermo, or artificial ones such as the use of hidroacumuladoras, hydrogen production and accumulation, thermal tanks and electric batteries. There is no doubt that solar energy was the main source of energy in the past, is in the present and will remain so in the future. The use of solar energy constitutes a significant step towards democratization of energy sources to ensure equitable access to it, which is a strong pillar of sustainability to allow access to social justice and equity for the whole planet and at the same time avoiding pollution and the risks of conventional energy. 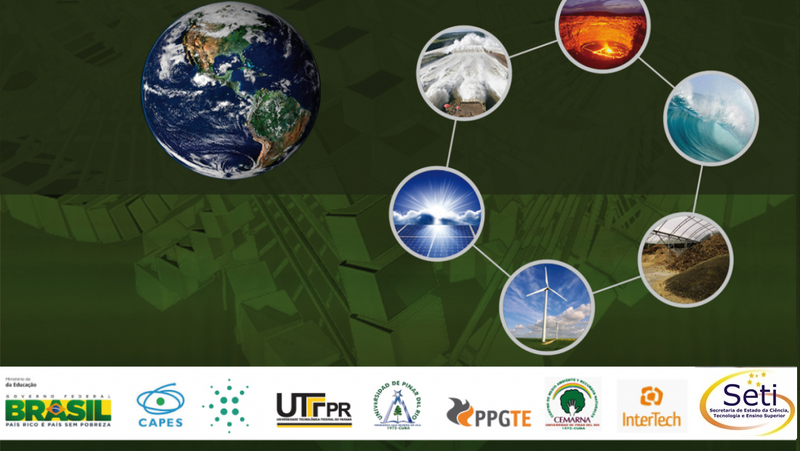 At the University of Pinar del Río, the Research Center for the Environment and Natural Resources, develops actions to promote the use of renewable energy sources and the cooperation in this field with other Latin American universities requires an undeniable need to prioritize joint research actions . 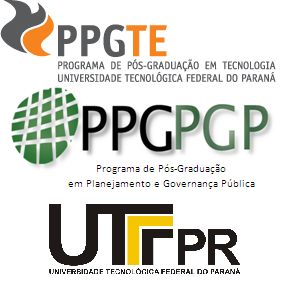 Professionally, the Federal Technological University of Paraná and the University of Pinar del Río are prestigious institutions that have found significant results in their research, mirrored by a large number of high-level scientific publications, several postgraduate programs, the publication of scientific journals, specialized books. They also have a very competitive technical team consisting of excellent experts in these fields. As part of several years of academic and scientific exchange, these institutions have been linked in joint research projects and have developed joint publications with professionals from both institutions on issues of interest in the area. This joint research project is based on the need for strengthening in new initiatives academic exchange in the implementation of a multi-criteria model as a mathematical tool which helps to improve the performance of decision-making process associated with the use of renewable energy sources as well as comprehensive management of natural areas where these resources are located. The proposed procedure allows to obtain a renewable energy matrix for the state of Paraná and the Cuban case and determines the natural, social and economic components or indicators associated with the decision-making processes of renewable energy alternatives. Furthermore, these actions are validated by obtaining the judgment of specialists using the heuristic method Delphi. Individual preferences are obtained from each of the experts in relation to the dimensions of the indicators and then these weights are added up until a vector with overall weight is obtained. Then we use a procedure for obtaining synthetic sustainability indicators in the use of renewable energy, for each of the defined dimensions (natural, social and economic) obtaining a multidimensional global synthetic indicator, to measure and evaluate sustainability and, therefore, the decision-making process. Once the research in Brazil and Cuba is developed, the expected results contribute to the generalization in undergraduate teaching in both institutions, as well as their corresponding postgraduate programs. The choice of this university in Cuba derives from the existing relationship, which enabled us to verify several areas of research for approximation, which takes place in the current project, but require resources for maturing. With this we expect to improve studies in the area of renewable energies, from the principles of the PPGTE (Post-Graduation Program in Technology) that are supported by institutions and associated programs. In addition, the results of this project can be analyzed by the Directorate of the Ministry of Science, Technology and Environment of Cuba (CITMA) and the Ministry of the Environmental (MMA) of Brazil for use as a support tool in the management process, design and implementation of strategic goals, not only locally but nationally and regionally in matters of alternative energy sources. From an analytical point of view, the concept of multi-criteria modeling granted a systemic nature, considering the decision-making processes associated with the use of renewable energy sources as a reflection of a complex articulation of natural, social and economic criteria in areas in which these processes occur. EPE. Documento de trabalho. Empresa de Pesquisa Energética (EPE), São Paulo, 2010. Disponível em<http://www.epe.gov.br/Paginas/default.aspx&gt;. Acesso em: 07 de jun. 2013. IBGE. Apresenta nova área territorial brasileira: 8.515.767,049 km². Instituto Brasileiro de Geografia e Estatística. São Paulo, 2012 Disponível em<http://imirante.globo.com/noticias/2012/11/27/pagina324564.shtml&gt;. Acesso em: 12 de fev. 2013. ONE. Anuario Estadístico de Cuba, Oficina Nacional de Estadística, La Habana, 2012. Ed. 2013. Disponível em<http://www.one.cu/…_tabla_cuadro.htm&gt;. Acesso em: 22 de jun. 2013.